For readers many born before this century, THE THINGS WE DID LAST SUMMER (1946) might well be part of our emotional landscape. How could it be otherwise with music by Jule Styne and lyrics by Sammy Cahn? I can’t be sure if it is because summer’s “lease hath all too short a date,” or because we have all had a romance that was too brief. But the song is inescapably memorable. If examined coldly, the melody is simple, yet combined with the simple-yet-evocative lyrics it causes me to imagine summers and summer romances I didn’t actually have but still seem real yet off in the distance. “We never could explain / That sudden summer rain / The looks we got when we got back.” The lyrics approach remembered elation and present loss indirectly. Cahn never states openly, “You broke my heart. Where did you go?” but offers a catalogue of pleasures experienced, now gone. But enough of memories, of sunscreen, watermelon, lemonade, bathing suits. Ah, summer. Ah, romance. And the imagined past, possibly more real than the experienced one. And — for some of us — the music that will happen at the 2016 Party, something to look forward to. 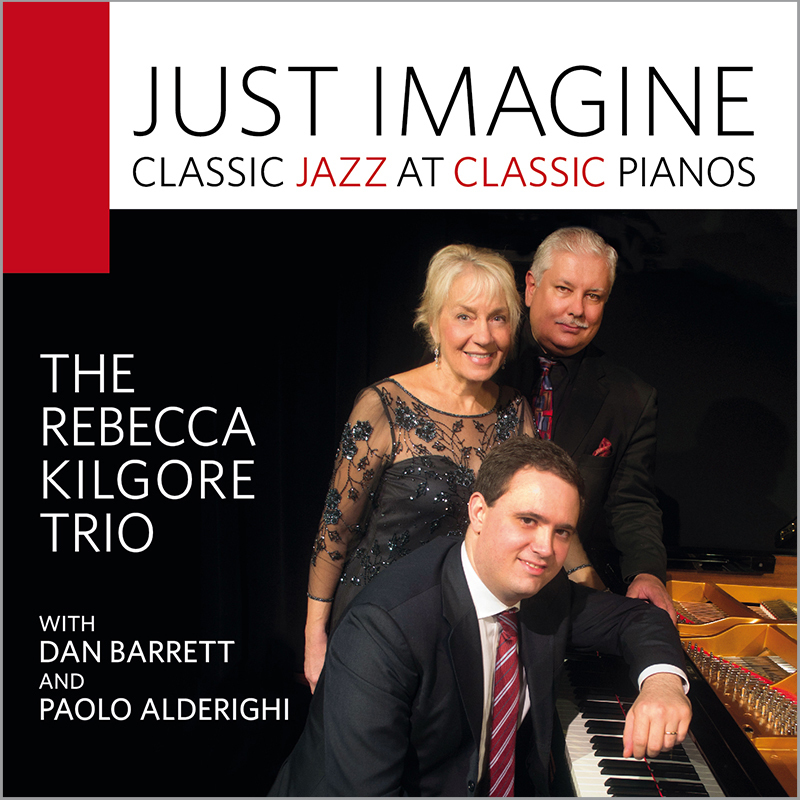 I am very happy to announce a new CD by the Rebecca Kilgore Trio (Rebecca, vocal and rhythm guitar; Dan Barrett, trombone, piano, arrangements; Paolo Alderighi, piano) — on Blue Swing Fine Recordings 014. Recorded at the end of 2013 in Portland, Oregon, it’s called CLASSIC JAZZ AT CLASSIC PIANOS, the latter half of that title referring to the congenial place where the Trio performed and where the disc was masterfully recorded by Randy Porter. Click here to hear samples. It’s a delicious session, with Rebecca singing (and playing rhythm guitar on a track or two), Dan on trombone, piano, and providing arrangements, Paolo holding everything together on piano for these selections: OH, LOOK AT ME NOW / DADDY, WON’T YOU PLEASE COME HOME? / JUST A LITTLE BIT SOUTH OF NORTH CAROLINA / SONG OF THE BLUES / JUST IMAGINE / THIS IS MY LUCKY DAY / ALMOST IN YOUR ARMS / I’M IN A LOWDOWN GROOVE / I’M RHYTHM CRAZY NOW / THREE COINS IN THE FOUNTAIN / CRY ME A RIVER / SERENADE TO SWEDEN / SOFT WINDS / MIS’RY AND THE BLUES. Connoisseurs of Song will note the wonderfully varied repertoire, with loving connections to Billie Holiday, Sammy Cahn, Jack Teagarden, Charles LaVere, Annette Hanshaw, Jean Goldkette, Joe Bushkin, Frank Sinatra, Lester Young, Anita O’Day, Sophia Loren, Fletcher and Horace Henderson, Julie London, Jim Goodwin, Duke Ellington and more, but this isn’t a history lesson. Rather it is fresh buoyant Music — a rare commodity. 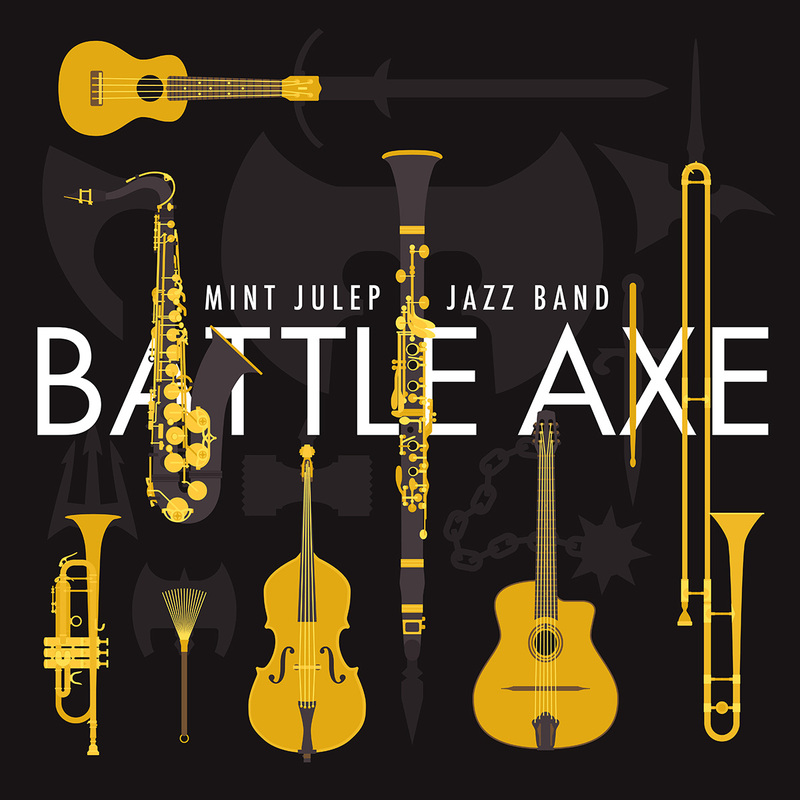 More often than not, jazz is asked to blossom forth in inhospitable places: the noisy club where musicians must compete with the bartender’s blender, or the recording studio, a maze of headphones and wires. Imagine a quiet room, shaded as if an Edward Hopper nightscape, with three musicians, two grand pianos, the only other people a recording engineer, himself a musician; another man taking notes. 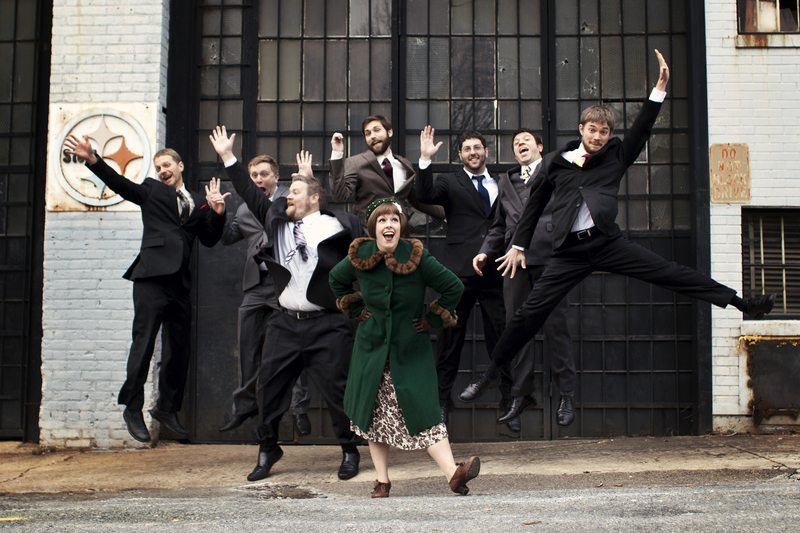 It was no fantasy, for this all happened during two December 2013 sessions in Portland, Oregon, in a back room at CLASSIC PIANOS, where three friends gathered for warm, intimate musical conversations in the name of classic jazz. Becky, Dan, and Paolo believe that music, created on the spot, can bring joy in the moment and renew us in the future. They gave each of the songs they had chosen its own life, reflective or ebullient: the poignancy of DADDY, the bounce of CAROLINA, the swagger of RHYTHM CRAZY, the romance of COINS, the melancholy of MIS’RY AND THE BLUES. Many of the songs have associations with Annette Hanshaw, Anita O’Day, Jack Teagarden, Julie London, Billie Holiday, Ellington, Charlie Christian, Trummy Young, Sophia Loren, Joe Bushkin, Lee Wiley, Fletcher Henderson. But these sessions were no “tribute,” no “repertory” re-creation, for the musicians brought their own personalities to this project, adding new melodies to the ones we know. When Becky sings, we hear a gently compelling honesty. Yes, we admire the way she glides from note to note, the creamy naturalness of her voice, the way her smallest melodic embellishments enhance the song, her infallible swing. But what sets her apart is her quiet determination to share the song’s emotional message candidly, fully. Becky doesn’t overstate or dramatize. She doesn’t place herself in front of the material, but she opens the song for us, so that we feel what its creators hoped for. Hearing Dan, I think, “That is how any creative player should sound: forthright, assured, subtle, inventive.” Like a great musical conversationalist, he always knows the right epigram to add at the right time. I can guess what some other musicians might play in their next phrase, but Dan’s imagination is larger and more rewarding than we expect. His reading of a melody is a joy; his improvisations are witty, pungent. The trombone can be a buffoon or a bully; in his hands it can be divinely inspired, even when Dan’s aural messages are earthy indeed. Becky and Dan could float or soar all by themselves, and they’ve proved that many times in concert and on recordings since they first met in 1994. CRY ME A RIVER on this disc, majestic and mournful, is proof. But recently they have called in an Italian sorcerer, Paolo Alderighi, who generously spreads rich sound-weavings, Garneresque threads glittering – lovely orchestral tapestries, neither formulaic nor overemphatic. His solos gleam and chime. In duet, Dan and Paolo are a model of creative conversation in jazz – empathic, intuitive, concise yet fervent. And when they sat down at the two pianos to accompany Becky for MIS’RY AND THE BLUES their contrasting textures were a delight. Completely original, too – neither Evans and Brookmeyer nor Ferrante and Teicher, but splendidly themselves. What we call The Great American Songbook sometimes weaves helplessly towards songs that, if their lyrics were actual speech, would be legal documentation of domestic abuse, self-inflicted destruction. Over time, Becky has turned away from these famous masochistic outcries. But this disc shows her playing bravely in the dark, getting in a lowdown groove, calling out to an absent lover, creating rueful and vengeful tears. This isn’t a major life-shift in all things Kilgore, but a willingness to expand her repertoire into classic songs based on real life-experiences. She is having a good time being so sad for a few minutes: like Basie, she keeps the blues at bay by playing them. Or it might be her own particular jazz homeopathy practice, where dark cures dark. These sessions produced lasting music, the rare kind that emerges from a devotion to the art. What a gift to us all! JUST IMAGINE is now available here. You can also purchase copies directly from Becky, Dan, or Paolo at their gigs — the most personal way to do it. I’ve seen them with Sharpies after a session, so going home with an autographed copy is a real possibility. Intimate, refreshing, and warm music.